Careers information, advice and guidance at St Michael’s. The aim of careers information, advice and guidance at St Michael’s College is to provide all of our students with the skills and knowledge that they need to ensure access to future careers and appropriate educational pathways; in line with their needs, interests and aspirations. In this way, careers, advice and guidance works to complement the college’s core aim of ensuring that all students receive a rich provision of classroom and extra-curricular activities that develop their skills to participate and enjoy life fully as adults. 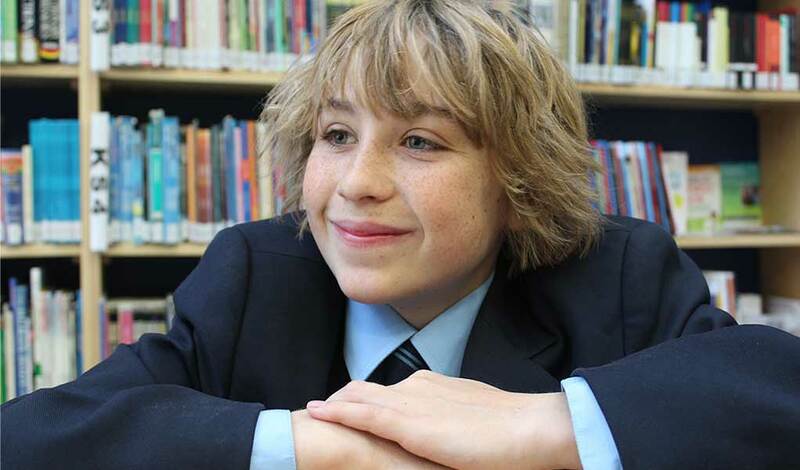 • Independent careers guidance for all year 8-13 students is secured to help students develop high aspirations and consider a broad and ambitious range of careers. • Students are inspired by real-life contacts with the world of work to help them understand where different choices can take them in the future. • Students have access to a range of activities that inspire including employer talks, careers fairs, motivational speakers, colleges and university visits, coaches and mentors. The provision of high quality mentoring develops the character and confidence needed to build a successful career. 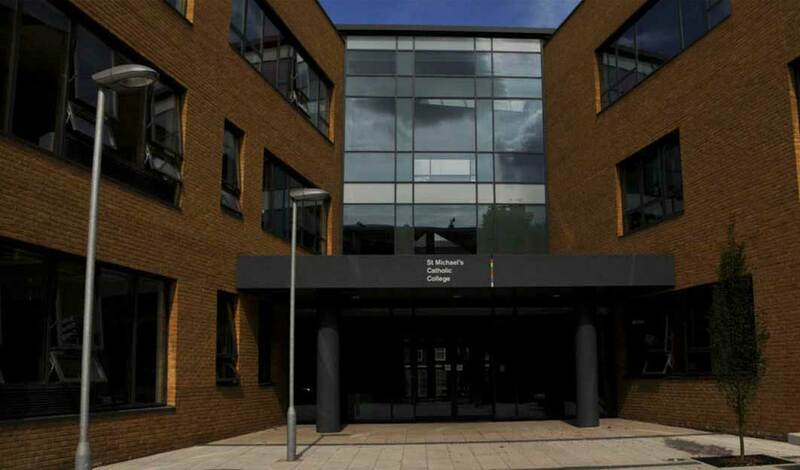 • The College has strong links with various organisations including employers who help to boost young people’s attitudes and employability skills, inform students about the range of roles and opportunities available and help them understand how to make this a reality. • Access to advice on options available post-16, for example, apprenticeships, entrepreneurialism or other vocational routes are provided alongside traditional A levels and university routes. • Partnerships provide other post 16 providers opportunities to access and engage students, both on and off-site. • Face-to-face advice and guidance is tailored for individuals and groups to build confidence and motivation. A careers professional is employed by the College to support students as one element of a varied careers programme. • Through partnership work with the Participation, Education and Training Team within the Local Authority vulnerable young people, including those with special educational needs and those at risk of not participating post-16 are identified along with the services that are available to support them. • Information is provided to students about the financial support that may be available to help them stay in education post-16. • We consciously work to prevent all forms of stereotyping in the advice and guidance provided ensuring that boys and girls from all backgrounds and diversity groups consider the widest possible range of careers, including those that are often portrayed as primarily for one or other of the sexes. A professionally qualified independent Careers Advisor is employed to provide independent, impartial advice and guidance across the school on a one-to-one and group basis; concentrating on key transition points and providing targeted, intensive support for vulnerable students. During business and enterprise week in the summer term, all year 8 students are provided with a structured session on career pathways delivered by the college careers advisor. Year 8 Employers Supporting Literacies for Work Programme: PwC Book Club provides students, targeted by SEND, Inclusion and the English Department, with intensive one-to-one reading support from professionals trained and employed by PwC. The Year 9 Options Preparation: Informed Choices programme usually runs from February to March or as calendared. The options system is personalised to meet the needs of the individual students. Students and parents attend an options evening in order to speak to staff and find out about subjects first hand. Students have an options handbook which provides written information on all the subjects available to them. An options day carousel is organised for students so that they can experience taster lessons in those subjects that are not offered at KS3. Year 11 student leaders go into form time to speak to classes about how they made their choices – and this is followed up by one to one mentoring where necessary. Students and parents have an interview with a member of SLT to discuss their choices and this includes conversation about plans that they may have for the future. Staff conducting the options interviews are informed in detail about the students’ academic progress beforehand and have data on their progress in all subjects. Options forms are differentiated – not all students have access to the same set of option choices. The Year 9 PwC Employability Programme provides professional training for three classes of year 9 students. PwC professional trainers and mentors provide workshops and support on identifying employability knowledge, skill and attitudes, CV writing in preparation for Year 10 Work Experience, self-promotion, office tours and meeting professionals in the workplace and developing entrepreneurial skills and spirit. 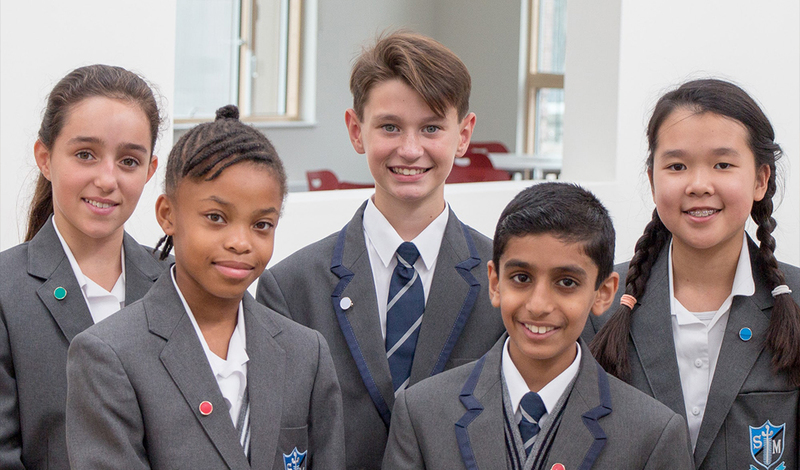 Year 10 Training (Students and Parents) – Work Experience in Partnership with Southwark The Year 10 Work Experience Programme involves an in-house training programme on work-search skills for each year 10 student and their parent/guardians. Training for both parents and students includes exploring the context of the working world, writing CVs, work search skills and attitudes, approaching employers via a range of platforms and interview tips and technique. The work Experience Programme enables each student in Year 10 to find and secure a high quality two-week placement. Competitions for placements are provided by employers including PwC and John Macaslan and Partners Architects. Links with teaching hospitals provide high quality experiences for those wishing to explore careers in medicine and related fields. The Year 10 PwC Employability Programme provides professional training for three classes of year 10 students building on their previous experience in Year 9. 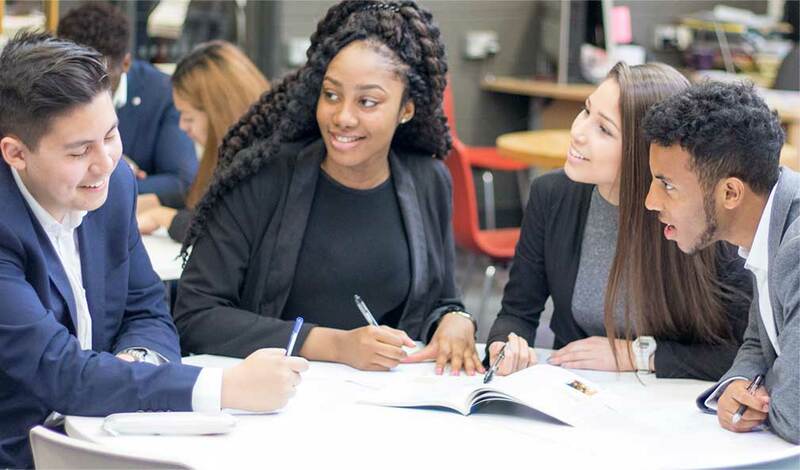 PwC professional trainers and mentors provide workshops and support to prepare students for applying to 6th Forms, University and assist them in building a successful career from GCSEs up. Content includes exploring careers pathways, jobs and salaries, ‘why GCSEs?’, as well as interview skills and practice. IAG in year 11 is completely personalised. In Year 11, all students receive at least one IAG meeting with the college appointed independent careers advisor. Reports are generated from these and shared with parents. The careers advisor liaises with both leaders of learning, SLT and the SEND department to ensure that advice is tailored to the specific needs of the students. Further meetings and support with writing applications forms are provided dependent on the needs of the individual student. Students once again have an individual guidance meeting on enrolment to the sixth form to ensure that they choose courses and pathways that match their strengths. The independent careers advisor is also available to students on this occasion. A UCAS evening takes place in year 12, providing students and parents the opportunity to find out about the UCAS process, applications to Russell group and other universities as well as student finance. In addition to this, Students are taken to the London UCAS conference, showcasing Universities across the country. All students have access to one to one support in writing UCAS statements as well as to independent careers advice from our careers advisor. The programme for the students involves professional mentoring, work place visits and masterclasses; and paid internships over the summer of 2017 with partner firms. These include Citibank, British Land, The NHS and HFW. PwC Internships and PwC Classroom – Each year approximately twelve competitive internships are offered to Year 12 students interested in careers in finance and professional services. Up to five Year 12s and five Year 13s, chosen by the College, are offered a two year PwC training programme to ready them for applying for a school-leaver or university-leaver programme with PwC, another financial services programme/job or a related profession. Work Experience – A six to thirteen week work experience opportunity is offered to students through City Of London Business Traineeship. Twelve students are offered a one week work experience placement with Holman Fenwick William (HFW Law). Opportunities are also offered to apply for Commerzbank Vocational Trainee Scheme. SEO scholars -The Year 12, 13 and into university and early career SEO Scholars Programme supports high achieving students under-represented in universities and professions in order to facilitate access and success. Students are provided with a university or professional e-mentor employed or studying in a field of interest to the student. Online and face-to-face training is provided. Bespoke open day visits to universities and summer schools are arranged. Internships are offered and support in applications is given. Support may continue throughout university and into early career; providing a network of professionals to secure engagement and success. SSLP – Working in partnership with a private school enables St Michael’s to offer sixth formers a series of careers talks and lectures throughout the year. These have included Overseas University Opportunities, Inspiring Women in Health & Finance, NASA night and Stem Day Lectures. For more information on Work Experience and/or Careers Advice and Guidance at the College, please contact – Ms Sayed c.sayed@stmichaelscollege.org.uk. For assistance in operational, day-to-day aspects of the current work Experience Programme please contact – Ms Hoang at the College h.hoang@stmichaelscollege.org.uk.